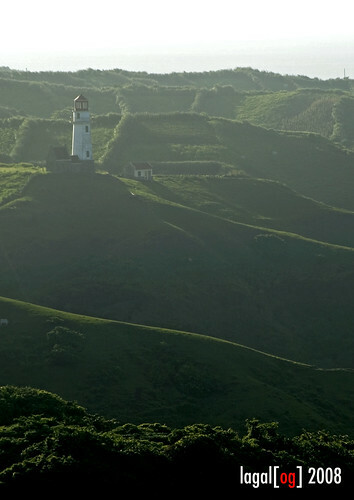 Even with the harsh lighting of near noontime, the beauty of Batanes shines through in this capture of the rolling terrain of Mahatao and its conspicuous lighthouse as seen from the vantage point of what the Ivatans call Marlboro Hills. hi lennie! thanks for dropping by. salamat din sa comments :-) kakatuwa naman kasi ang liit lang talaga ng mundo. dalaw ka uli. hindi pala madaling tumawid sa mga burol dyan. ganda ng view sa picture na ito. oo dom, kasi malawak at steep in so many places itong mga hills. even the van had a hard time negotiating the interior road. thanks for the comment bro! Ohhh ang sarap naman titigan ito, kahit noontime parang malamig ang panahon sa shot mo. it looks morning to me... sarap cguro picnic near that lighthouse.